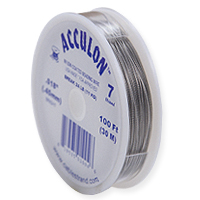 Tiger Tail Flexible Wire is a Nylon coated wire, which will not stretch, yet is flexible enough to be knotted and tied. 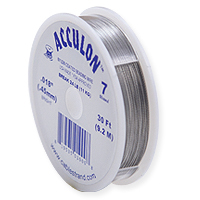 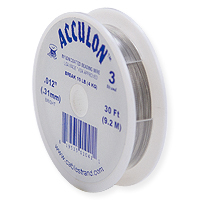 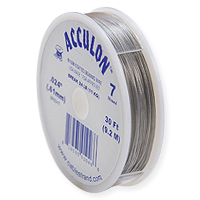 The Nylon coating on Tiger Tail Wire prevents "sawing" or "cutting" into Beads, Clasps, and Connectors. 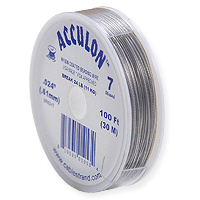 Tiger Tail Flexible Wire is great for Necklaces, Bracelets, and Anklets. 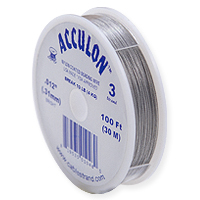 Available in 30' and 100' spools.